After repeatedly promising the “most honest” and “most open” Congress in history, Democratic leaders have moved to make the earmark process entirely secret. It started in January when the House quickly adopted rules that have prevented lawmakers from challenging an earmark as long as the bill to which it's attached contains a list of earmarks – even if the list is inaccurate and doesn't list the earmark at issue. The rules were supposed to ensure all earmarks receive appropriate scrutiny and opportunity for debate but have instead made it nearly impossible to challenge wasteful spending. In fact, in February the majority used this loophole to certify a massive spending bill as “earmark free,” despite the fact that it contained hundreds of millions of dollars in earmarks. While this is an unprecedented move to avoid accountability, it isn't the first time Democrats have shown how far they'll go to protect their pork. 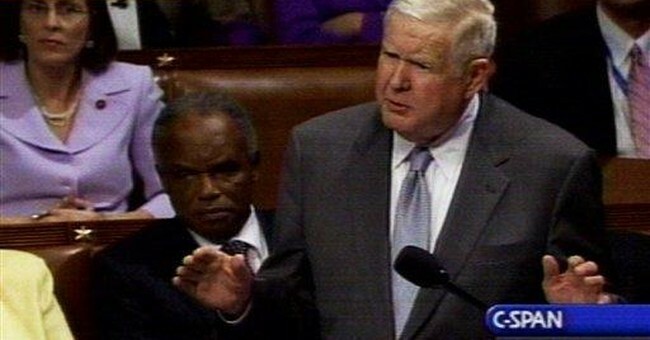 C-SPAN's video cameras caught Rep. John Murtha, D-Pa., threatening Rep. Mike Rogers, R-Mich, for targeting a wasteful earmark for Murtha's district that siphoned off money from critical intelligence programs. The rise in earmark secrecy has been accompanied by a massive increase in spending. In total, House Democrats have authorized $98 billion in new federal spending this year alone. They added some $6 billion to the omnibus spending package approved in January and more than $20 billion to the fiscal year 2008 budget. They stuffed more than $17 billion in additional spending into the supplemental and have racked up an additional $9 billion (and counting) in the first four appropriations bills they've marked up at the House Appropriations Committee. All of this has helped fuel public cynicism about Congress and reaffirmed the need for fundamental change in the way Washington spends taxpayer dollars. I've long been opposed to the practice of earmarking tax dollars – particularly its secretive and often wasteful nature – and was pleased when House Republicans passed the first-ever earmark reforms last year making the process more transparent by requiring a lawmaker's name be attached to any request. We also approved legislation creating a public database detailing federal grants and contracts. And just last month, Republicans successfully added a provision to a lobbying reform bill requiring lobbyists to report the earmarks for which they lobby. I've also voiced support for using new technologies to make congressional information more easily accessible and readily available on the Internet. And House Republicans are signing on to a letter signaling support for President Bush's veto of any spending bill that exceeds his requests. This kind of transparency and accountability is good and necessary, and we need more of it. Democratic leaders claim their drastic turn toward earmark secrecy is necessary to give Appropriations Committee members time to review all of the requests – even though they've had plenty of time to do so. But there's no reason the Appropriations Committee should have to work alone. There are dozens of House Republicans – and scores of interested Americans and budget watchdog groups – who would gladly help review all of those requests. Congress just needs to cough up the information and end practices that allow wasteful spending to go unchallenged.